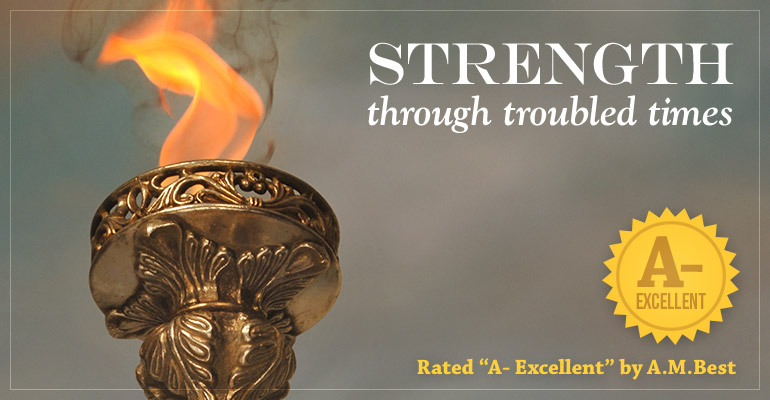 AmFirst Insurance Company · Strength through troubled times. AmFirst Insurance Company, headquartered in Ridgeland, Mississippi, has seen continuous growth since its creation in 1998. AmFirst continues to gain ground year after year through development of innovative supplemental medical products such as dental, vision, and medical gap plans. RIDGELAND, MISSISSIPPI: The credit rating of TPM Life Insurance Company located in Lancaster, PA, has been upgraded by A.M. Best. In addition, A.M. Best has assigned credit ratings to AmFirst Life Insurance Company, I.I. Wednesday, June 27th, A.M. Best announced the upgraded Financial Strength Rating (FSR) to A-(Excellent) from B++ (Good) and the Long-Term Issuer Credit Rating (Long-Term ICR) to “a-” from “bbb+” for TPM Life Insurance Company (TPM Life) (Lancaster, PA), a wholly owned subsidiary of AmFirst Insurance Company (AmFirst) (Oklahoma City, OK). Additionally, A.M. Best has affirmed the FSR of A- (Excellent) and the Long-Term ICRs of “a-” of AmFirst and its wholly owned subsidiary, Monitor Life Insurance Company of New York (Monitor Life) (Utica, NY). The outlook of these Credit Ratings (ratings) remains stable. Concurrently, A.M. Best assigned an FSR of A- (Excellent) and a Long-Term ICR of “a-” to AmFirst Life Insurance Company, I.I. (San Juan, Puerto Rico). The outlook assigned to these Credit Ratings (ratings) is stable. AmFirst Life Insurance Company, I.I. is a newly added member of the AmFirst Insurance Group, which already includes AmFirst, Monitor Life and TPM Life. OLDWICK, N.J., June 15, 2017—The following rating actions referenced below were made on June 8, 2017. A.M. Best has affirmed the Financial Strength Rating (FSR) of A- (Excellent) and the Long-Term Issuer Credit Ratings (Long-Term ICR) of “a-” of AmFirst Insurance Company (AmFirst) (Oklahoma City, OK) and its wholly owned subsidiary, Monitor Life Insurance Company of New York (Monitor Life) (Utica, NY). The outlook of these Credit Ratings (ratings) remains stable. JACKSON, MISSISSIPPI: AmFirst Insurance Company, an Oklahoma domiciled insurance company with administrative offices located in Jackson, Mississippi was approved in the state of California on April 3, 2017 to sell disability insurance, which includes all types of health insurance. A.M. Best has upgraded the financial strength rating (FSR) to A- (Excellent) from B++ (Good) and the issuer credit ratings (ICR) to “a-” from “bbb+” of AmFirst Insurance Company (AmFirst) (Oklahoma City, OK) and its wholly owned subsidiary, Monitor Life Insurance Company of New York (Monitor Life) (Utica, NY).